Online retailers have made a lot of strides in recent years. But one area that often seems deficient in ecommerce is site search. Many consumers simply skip the faulty onsite search boxes when looking for products, prefering to leave the site, and use an outside search engine to find products they’re looking for. That leaves room for a lot of lost transactions, a fact that Google has been especially noticing. On November 5, the search giant launched Google Commerce Search, which integrates Google’s search algorithms directly into a retailer’s website. 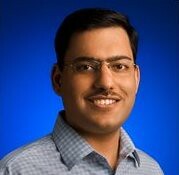 I spoke with Nitin Mangtani, Google’s lead product manager for enterprise search products, to get more details on the product. And why retailers should shell out for Commerce Search instead of just encorporating a generic Google search bar into their site. Why did Google create this product? It’s always interesting to see where we have come from. If you step back, there’s still a big potential that’s not fully realized by online merchants. There’s demand for products to be bought online in a more easy way. You see that there’s a big gap between user experience and the tech that’s available for them. Not necessarily the top three to five merchants, but most beyond that think that the technology available to them is really complex. If you go beyond the top five to ten online retail sites see a serious degradation in the online experience. They don’t want to invest, and hire outside companies to deal with search. At Google, we have done several studies, and we’ve seen that even where latency increases a few seconds, you see a big drop in users. Search time deteriorates as you go down the top 500 retailers. We are providing sub second response time to retail websites using the infrastructure we have here at Google. If users don’t like the search results, or if it’s taking too long, they’re going to give up on search and the website. Think about it. How often do you go to retailers and find the experience acceptable? Now retailers don’t have to worry about how good their search quality is. They can leave the technology to us. A lot of consumers are already going to Google to do their branded product searches. Does this have anything to do with that? This was one of the motivations of why we built this product. We observed that a lot of people would put a retailer’s name and enter the specific product. But it’s a question of scale. A lot of the algorithms we built at Google are self-learning. We know the 50 ways people will enter a search for a digital camera, even before you can rank the search results. There’s the question of how best your engine can interpret a query. Bad search engines will give you zero search results, or alternatively they could be really aggressive and give only non-relevant search results. Why shouldn’t retailers just embed a generic Google search on their site? Basically the main difference in the case of Google is that we don’t show any favoritism to a given retailer. With Google Commerce Search, you might want more control on how you present search results on your site. If you sell cameras, you might get better margins on Canons and we let the users control the ranking. They can ask us to give a higher importance to Canon cameras. Think about it like merchandising. It’s the same concept. They can create promotions and decide what the filters are on their own. In a sense we are giving them a lot more control on what the user interface needs to be and how they want the merchandising rules to be on their website. What do you think the impact will be for the holidays? A lot of the retailers we’ve had for awhile, but we weren’t trying to create it with any specific time in mind. More generally we’re trying to create a product that helps mprove conversion rates. If you can provide a good search experience, people tend to stay around for longer on a website. How about price? Would this cost the same for any retailer? Our entry level price is $50,000. That gives retailers the ability to search 100,000 items and make 10 million queries a year. It’s a subscription model, they don’t have to deploy any software and receive 24/7 worldwide support. Who do you expect to buy the product? At Google, we tend to think about what are the kinds of things we can do that can have profound impact on online sales. Users were demanding a better online experience, but quality was falling behind. We felt if we could provide good technology to retailers, we could make that change and help them increase online sales. The impact we can do is profound. So many retailers are on the web, and if a better search product can help improve online sales, that’s why we launched this product. In general, we are targeting the top 500 to 1000 retailers in each demographic. So far we’ve just launched in the U.S. and the U.K., but the demand has been very positive. One of the site’s that already live — Birkenstock’s BetterWalking.com — they clearly saw the benefit of seeing ultra fast search results, and they’re already seeing better user satisfaction on their side.